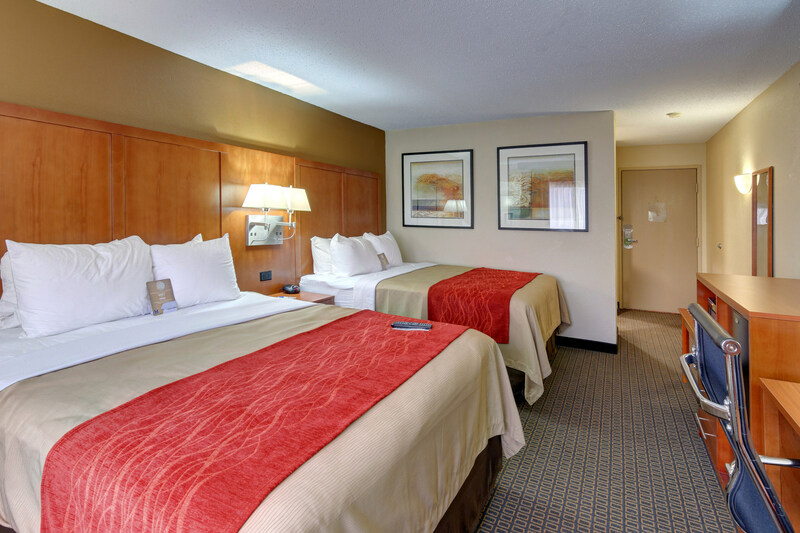 Make our spacious hotel rooms in Mobile, Alabama your home away from home. 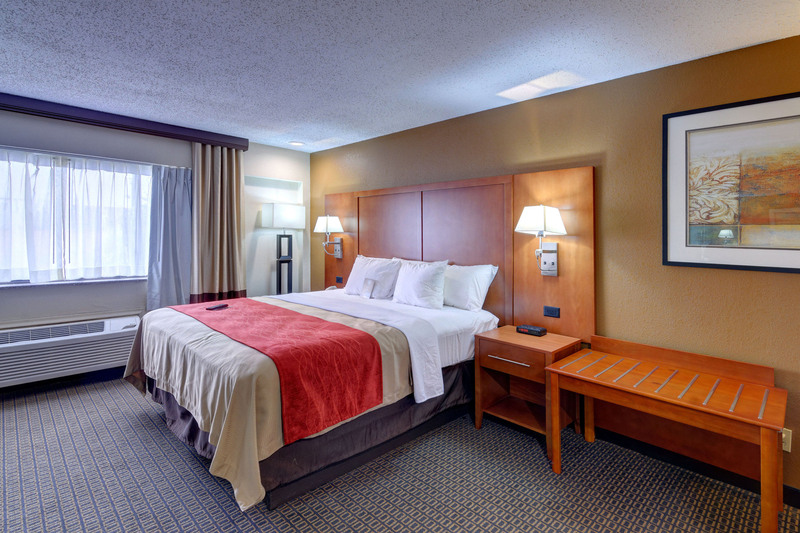 Stretch out in comfortable accommodations and take advantage of exceptional amenities. Comfort Inn Mobile is pleased to provide the choice between five versatile, dynamic room types to ensure that your ideal space is available to you. 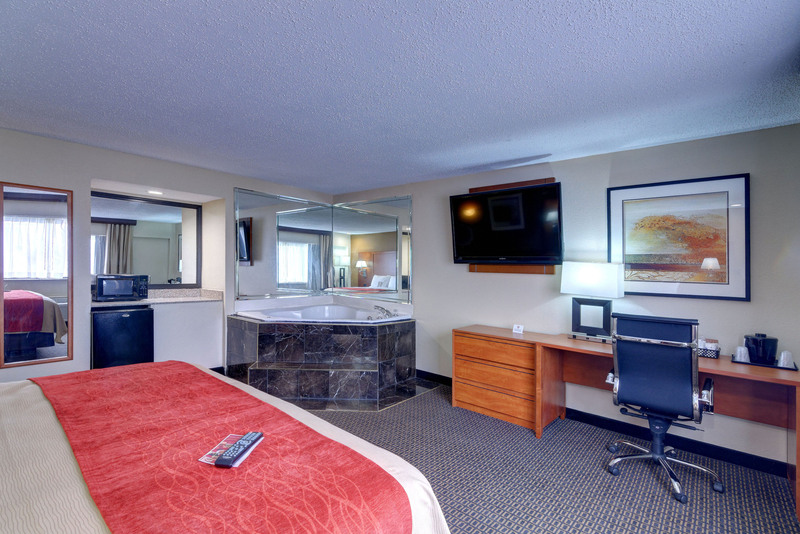 We have a variety of hotel rooms and suites in Mobile, Alabama to suit every guest, whether you’re traveling for business or a special occasion. 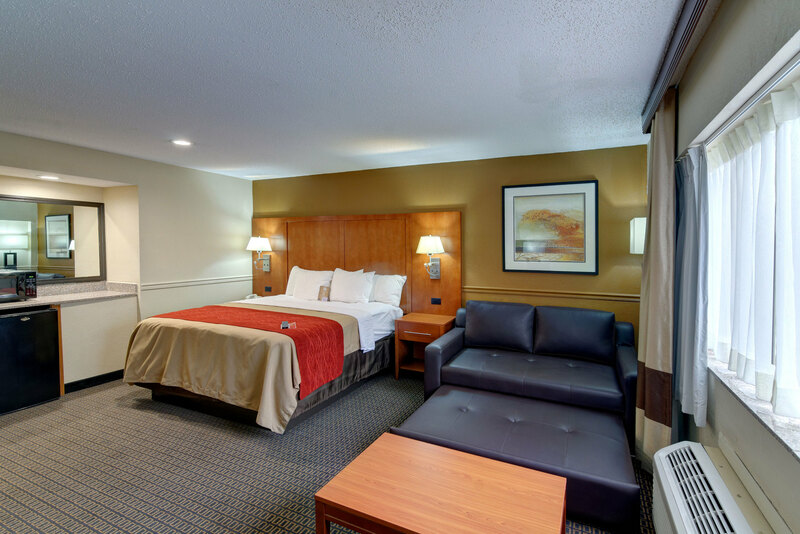 Our lodging in Mobile, AL promises the convenience of modern in-room amenities and complimentary perks, such as free Wi-Fi and a daily breakfast buffet to make us feel like your home away from home! 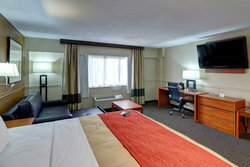 Stock your in-room refrigerator with leftover take-out and late night snacks from the vending machine. Reheat with ease in your microwave. 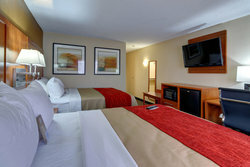 Relax in front of your flat-screen TV in the evenings. 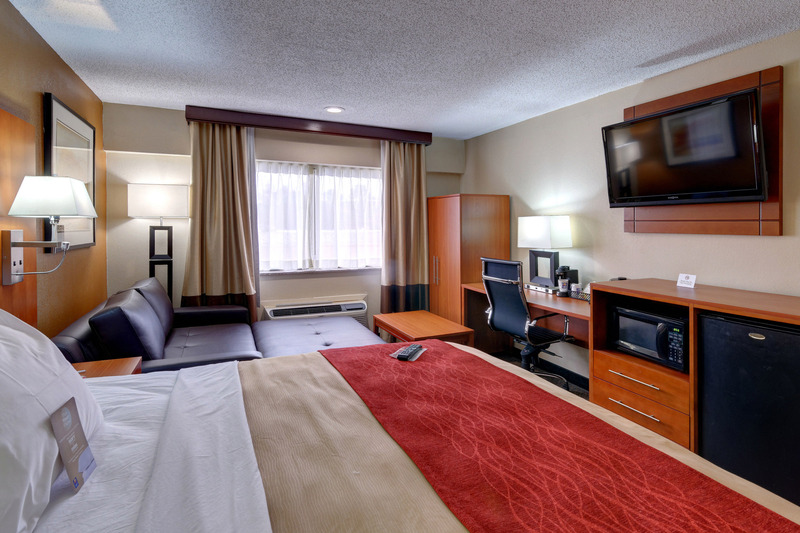 Make local calls with ease using your in-room telephone. 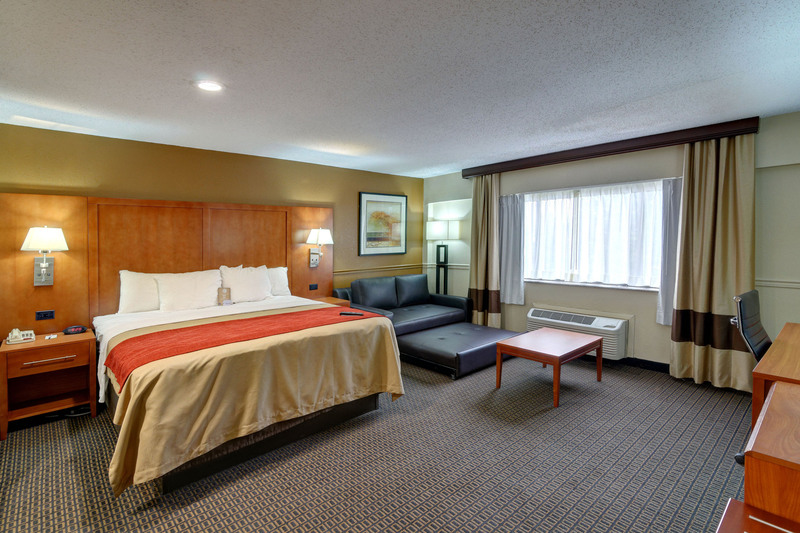 Several of our rooms offer the convenience of a sofa bed and each of our rooms promises premium bedding to ensure a good night’s rest. 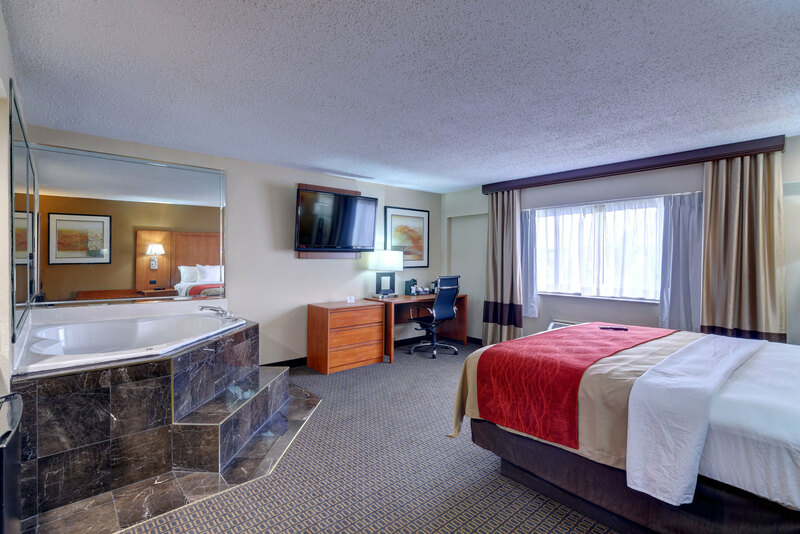 Our welcoming 24-hour front desk is always available to offer assistance, recommendations, and offer fresh towels for your room. 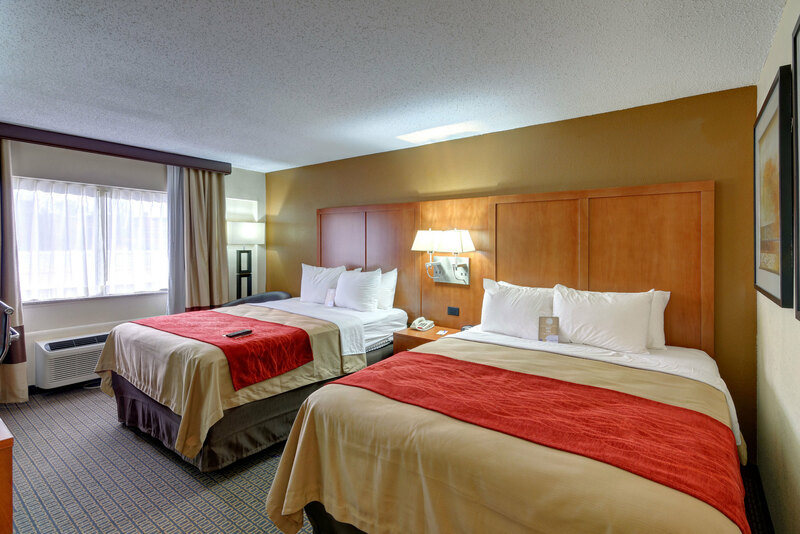 Explore all of our hotel rooms in Mobile, Alabama below and book your stay today! 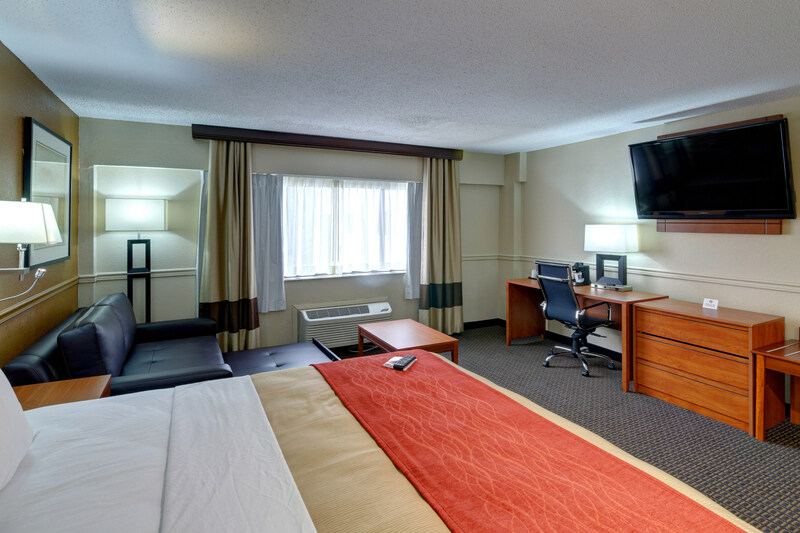 This non-smoking room is equipped with a spacious king bed and premium bedding, a refrigerator, coffee maker, and microwave, as well as a desk and ergonomic chair. 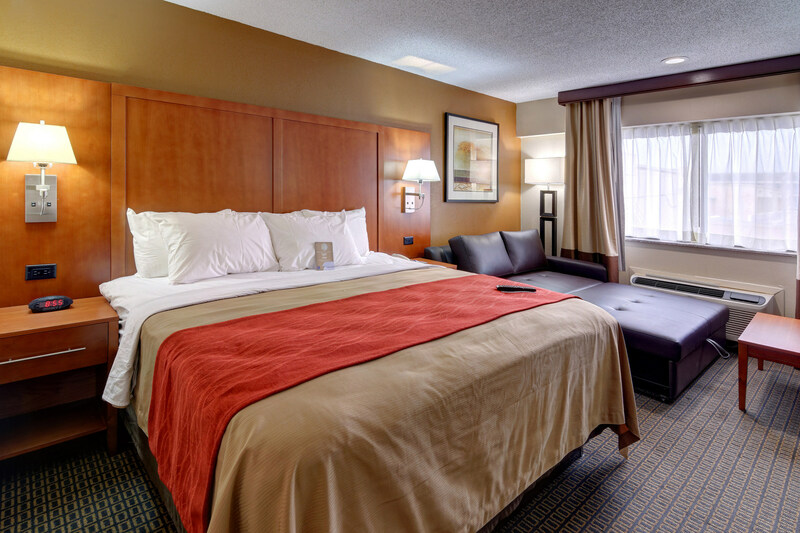 Stretch out in comfortable accommodations. 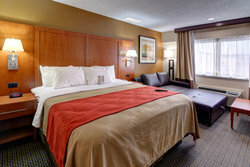 This non-smoking hotel room in Mobile, Alabama is equipped with a two plush queen-sized beds and premium bedding, a refrigerator, coffee maker, and microwave, as well as a desk and ergonomic chair. This non-smoking room is equipped with two plush queen-sized beds and premium bedding, a refrigerator, coffee maker, and microwave, as well as a desk and ergonomic chair. 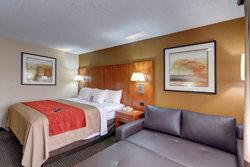 Our spacious King Bed Suite offers a spacious sofa bed, and additional space to stretch out in. 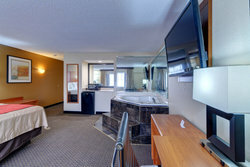 Our 1 King Bed hotel suite in Mobile, Alabama with a Whirlpool is extraordinarily spacious and is equipped with a 2-person whirlpool for your relaxation. 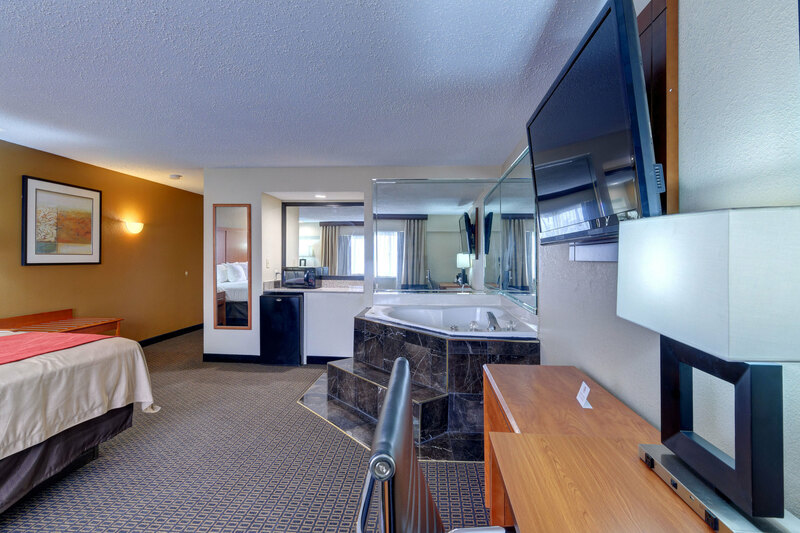 Our 1 King Bed Suite with a Whirlpool is extraordinarily spacious and is equipped with a 2-person whirlpool for your relaxation. Our 2 Queen Bed Accessible room offers all of the conveniences of our 2 Queen Beds room with the addition of accessible features to ensure your stay is characterized by ease and comfort. 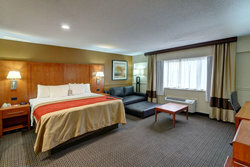 Sleep in comfort in our hotel rooms in Mobile, Alabama.